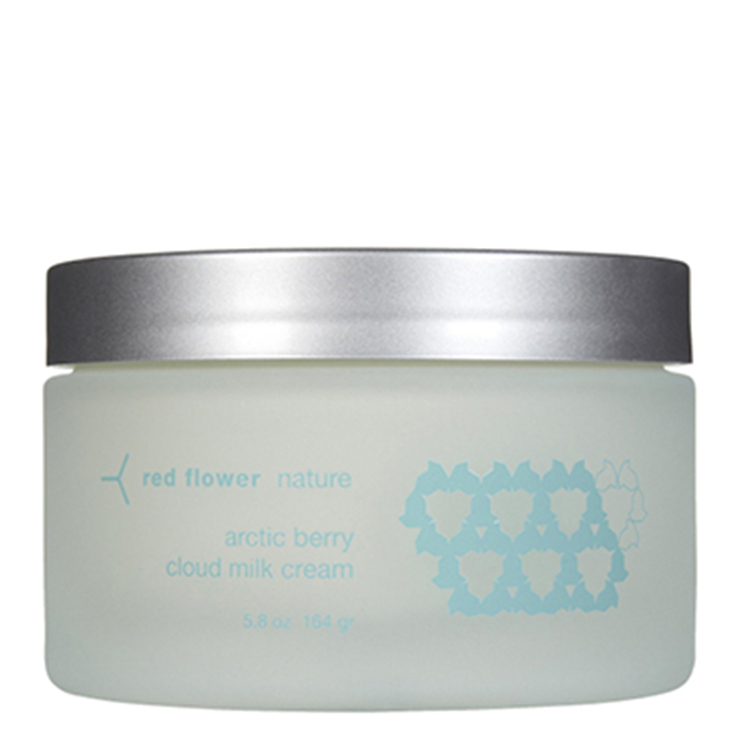 Offering feelings of protection, nourishment, luxury, and effectiveness, the Arctic Berry Cloud Milk Cream by Red Flower does it all. Powerful, moisturizing ingredients combine to restore a look of youthful radiance to all skin types of all ages. Supremely moisturizing, the Arctic Berry Cloud Face and Body Cream is an antioxidant-rich blend that boosts a protective feel against the signs of aging, leaving skin with a supple look. This potent cream is filled with soothing botanicals that improve the appearance and create a youthful looking complexion. Offering feelings of protection, nourishment, luxury, and effectiveness, it's a head-to-toe miracle worker. Apply to the face in the morning for a glowing look that lasts all day long. Apply to the face at night and layered over a serum for ultimate moisturization. Use liberally all over the body for a nourished feel, or apply to targeted areas such as the chest, hands, knees and feet.